Download the Fujifilm X100 Manual. Full-sized, official X100 sample images at Fujifilm.com. 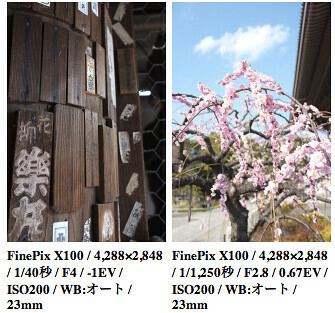 Look for full-size sample pictures at the end of this Japanese-language FinePix X100 review at dc.watch.impress. 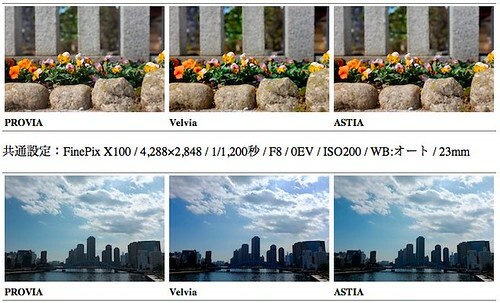 Full-resolution Fuji X100 Provia, Velvia and Astia sample photos at dc.watch.impress. 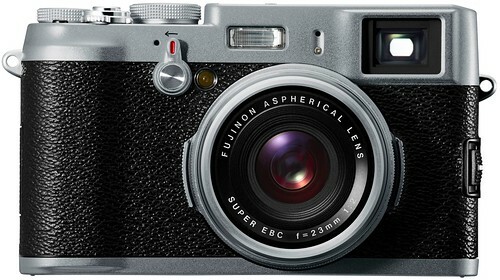 Fujifilm X100 microsite, and official page at Fujifilm USA and Fujifilm Global.